According to the statistics issued by Ministry of Industry and Information Technology (MIIT), there was a net increase of mobile phone users of 149 million in 2018 to reach a total of 1.57 billion users and 112.2 mobile phones per hundred people, increasing by 10.2 mobile phones per hundred people compared with the end of previous year. The penetration of mobile phones in 24 provinces and cities in China has exceeded 100 per hundred persons. The report shows that 2018 has witnessed a net increase of 290,000 mobile communications base stations to reach a total of 6.48 million. Among the increased number, 439,000 were 4G base stations to reach a total of 3.72 million. The total 4G users stood at 1.17 billion, with a net increase of 169 million all over the year. 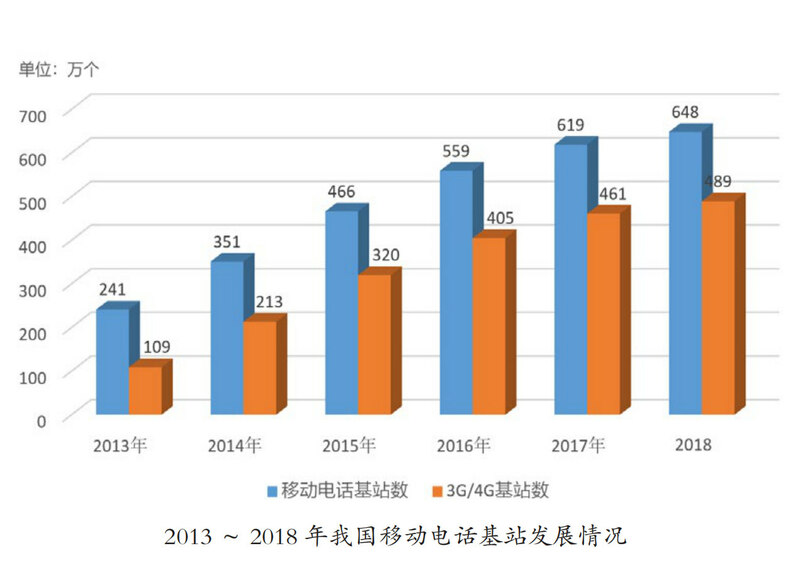 As of the end of December 2018, the mobile broadband subscribers (namely 3G and 4G users) in China has totaled 1.31 billion with a net increase of 174 million all over the year, accounting for 83.4% of the mobile phone users.